Sherrie Chaffin joined Trinity Capital Advisors in 2012 to manage the firm’s development process from due diligence and land acquisition through the design, construction, and occupancy phases. She came to Trinity Capital from commercial real estate firm, Trinity Partners, where she led the project management division, including the development of such high-profile assets as Ally Center and 215 International Drive. A native of Oak Ridge, TN, Sherrie has been in commercial real estate since 1991. She previously worked at both Lincoln Harris and Bank of America, where she managed bank-owned real estate projects and helped lead the development of two major uptown condominiums. Sherrie is an alumna of Auburn University’s College of Architecture with minors in business and building science. She is also LEED AP accredited. 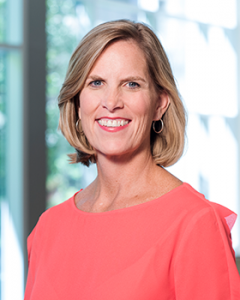 She serves as secretary of NAIOP and president of the Lake Norman Regional Economic Development. Active in the community, she is a tutor at Billingsville Elementary School and a Habitat for Humanity volunteer.